I met Mike and Justin about a month or two before their wedding. I feel like the stars cosmically aligned so I’d get to have the honor of meeting these two. From the very first second we met, it was just easy- it felt like I had known them for years and years. I live for that feeling! 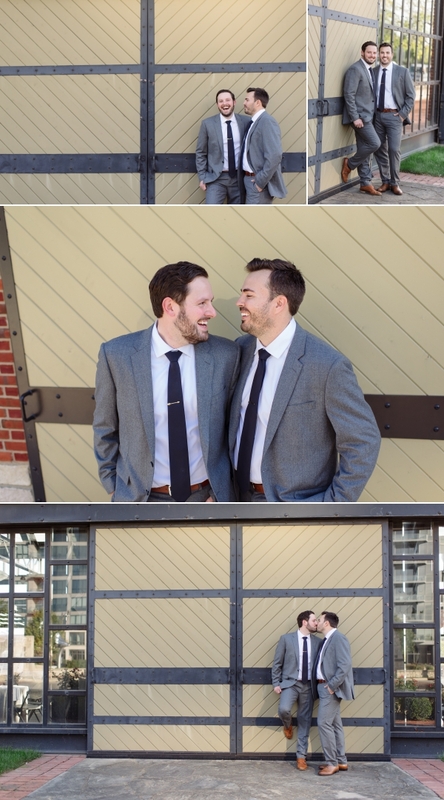 Their personalities are vibrant, the way they interact is beyond cute, and the day they planned to celebrate their love was just relaxed, stunning and dare I say perfect! Justin used to be an event and wedding florist among other things so he planned and executed the decor for the day. The final look was fall themed, but modern, refined and sophisticated. Seeing his talent first hand just blew me away! Mike was right by his side, helping with every little detail and nuance. Side note- They currently own the Grandview home decor store www.fourthhome.com. It is my new favorite place to spend way too much money. Their inventory has something for everyone who enjoys quality decor- and the prices are very reasonable as well. 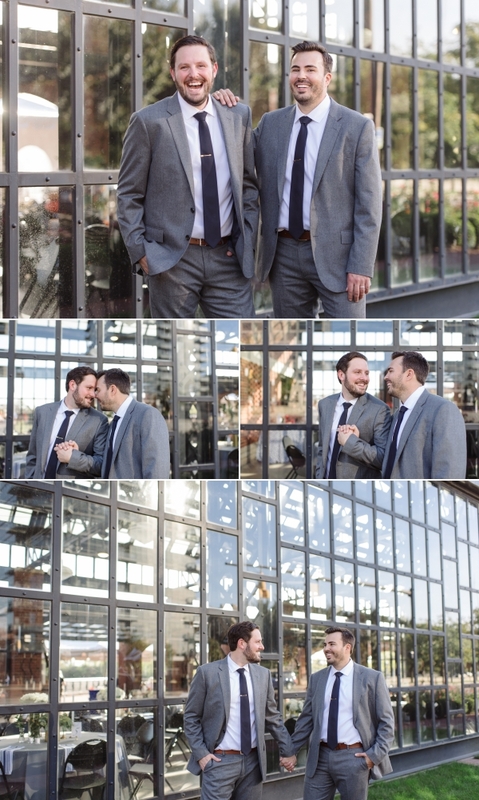 After the two of them finished setting up their own wedding venue, North Bank Park Pavilion, we walked around downtown and took some very GQ style photos. We ended up with some art deco inspired locations that went well with the colors of their wedding. When we walked back to the venue, the sun was low in the sky and their evening outdoor ceremony was to follow. As they walked down the aisle, there were tears of joy. The short ceremony was filled with so much love and laughter- and they were surrounded by the warmth of tons of family and friends. Fast forward to the reception- this probably wins the best dance party of the year award in my book. Everyone and I mean everyone got DOWN! Drinks were flowing, late night snacks were laid out, and the party never died down- it just ramped up. I loved this wedding so much and am so thankful that ill be able to keep in touch with them both now that I’m a groupie of their store! 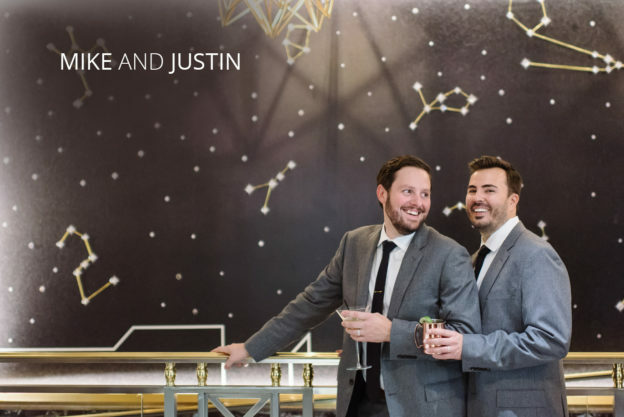 So without further ado, here is Mike and Justin’s sophisticated fall wedding! !